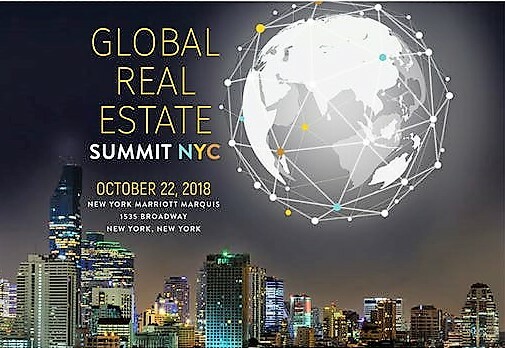 NEW YORK (August 2018) — The annual Global Real Estate Summit NYC will mark its 12th anniversary Monday, Oct. 22, at the New York Marriott Marquis in Midtown Manhattan. Dealing with foreign nationals when doing business in different international markets and in the U.S. Different rules of engagement, cultures, finances, currencies, immigration policies, politics, variable consumer requirements, and much more. What will be the best strategies for building cities in this globalized world? What will be the potential risks to globalization? Featured speakers and panelists will include an array of industry experts, such as Lawrence Yun, chief economist and senior vice president of Research for NAR; Jessica Edgerton, Executive VP, Operations and Corporate Counsel, Leading Real Estate Companies of the World®; Ron Molcho, Broker/Owner, American Homes Group; Raj Rajpal, Wells Fargo Home Mortgage; Scott Durkin, president and COO, Douglas Elliman Real Estate; Michael Cobb, chairman and CEO, ECI Development; Leonard Steinberg, chief evangelist, Compass, as well as professionals from Brown Harris Stevens Residential Sales; The Jills Group; Purplebricks; members of the New York City media, and many others. 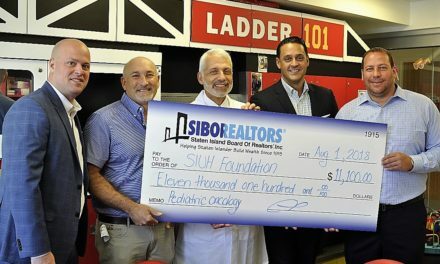 The Hudson Gateway Association of REALTORS® (HGAR), founded in 1916, is a not-for-profit trade association consisting of almost 11,000 real estate professionals doing business in Westchester, Putnam, Rockland, and Orange counties, as well as the Bronx and Manhattan. It is the second largest REALTOR® Association in New York, and one of the largest in the country.